1 How Casino Machines Work? People are always wondering how casino machines actually work, especially casino players. Do casino machines actually use random number generators? Can casinos manipulate the outcome of these gaming machines? Are players being cheated on by the casinos? Can the odds of winning be accurately computed? Do small wins mean anything? Modern casino machines use a computer to generate random numbers. Since they’re regularly checked by independent auditing companies, the results from random number generator are definitely random and cannot be predetermined. In every casino game, the casino definitely has an edge over the players. Players always get lower payouts than their actual odds at winning. Casinos use math and probability to get its edge over the players. In both online casino games and slot machines, the casino has an edge over the players. While majority of casino machines use three reels, some of them can also have five reels. Reels have different symbols on them. If a certain combination of symbols shows up on the reels, then it will result to a payout. If a combination has the lowest probability to get formed, then it will also give the highest payout when formed. A casino machine’s par sheet is the one which determines the odds of the game. It specifies each stop’s weighting, including the blanks. Casinos treat their par sheets with confidentiality since it’s also partly responsible for a casino’s house edge and payback percentage. Classic casino machines usually get 10 stops per reel. Newer casino machines now have around 30-50 stops per reel. More stops per reel means that the game can offer large jackpots. The weighting will determine which stop gets picked. Out of 10 symbols, one of them could come up once every 100 spins and is therefore considered to be special. Symbols can be programmed to come up more frequently than the other symbols. This process makes the player feels like he’s winning when it’s actually the casino that’s making huge profits. Today’s use of computers in operating machines can have an effect on the usually equal chances of symbols being landed on. Defined as a mathematical prediction on how much a casino machine will pay back the player over an unlimited number of spins. If a game has a 96% payback percentage, $4 will be won out of every $100 spent on an unlimited number of spins. Almost-wins are huge money-makers for all casinos. Combinations resulting in near-wins are often programmed to appear more frequently than other combinations. 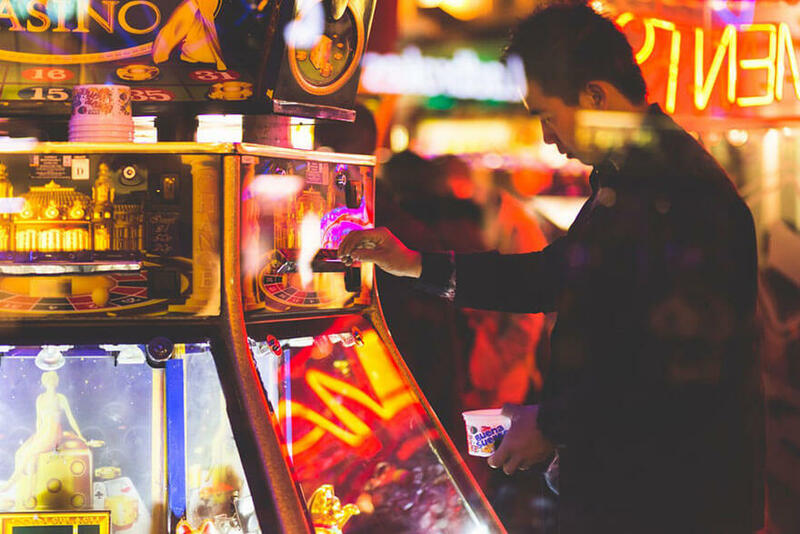 Almost hitting the jackpot encourages the players to spend more time playing in hopes of finally winning big–but it’s the casino that’s actually winning. Coin Slot – Newer casino machines can take multiple coins, as well as paper bills and credit cards. Lever – Players used to pull the lever to get the reels to start spinning but now, the lever’s present for design purposes only. In newer casino machines, motors replaced a lever’s function. Reel Plate – These work like tumblers inside a combination lock which align when the right combination hits. Payout Trigger – This works with the reel plate to correctly identify the payout amount for each round. These are metal pins which control how the trigger gets released depending on the payout. Winning Line – This part determines the amount of payout according to the symbol combinations.